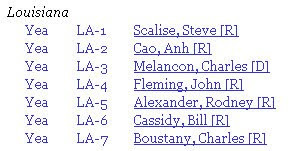 24 february 2010: passed in the senate by voice vote. a record of each senator's position was not kept. An extension of the Patriot Act with no reforms of its abusive powers of unreasonable search and seizure against American citizens has passed the House of Representatives. The vote was 315 in favor of extending the Patriot Act without reform, 97 against, and 20 not voting. Search for information about the roll call of this vote online tonight, and you’ll just find this nameless tally of numbers. You won’t find the names. Why? 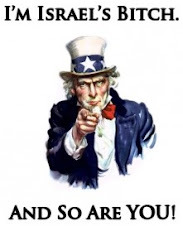 The reason is that the House Democratic leadership voted on the renewal of the Patriot Act in such a way as to hide the vote from the American people. Go to the web site of the Clerk of the House, and you’ll see no vote from today about the Patriot Act at all. What you will see is Roll Call 67, “On Motion to Concur in Senate Amendments” for H.R. 3961, the Medicare Physician Payment Reform Act. That’s the vote on whether to extend the Patriot Act without any reforms of its abusive spying programs. 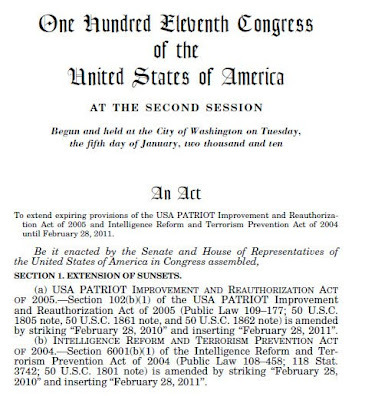 It doesn’t look like it, of course, but the Patriot Act extension is what’s referred to by “Senate Amendments”. The Senate Democrats sneaked the Patriot Act extension into a Medicare reform bill, and then voted by voice vote to approve the amendment so that no politician would have to have their name attached to this shameless abandonment of liberty.